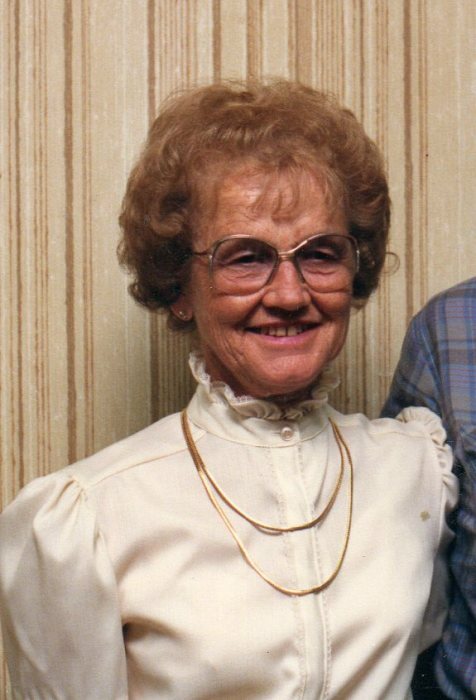 Mary E. Wear, 89, of Carthage, passed away at her home Thursday afternoon, September 8, 2018 at 4:34 P.M.
Mary was born September 22, 1928, in Keokuk, Iowa, the daughter of Bernard and Frances (Loter) Hendricksmeyer. On January 4, 1947, she was united in marriage to Rolland K. Wear at St. Peter’s Church in Keokuk. Mary was a life-long farm wife. Mary is survived by five children, Dorthy Wear of Evansdale, Iowa, Ronald Lee (Janet Sue) Wear of Carthage, Barbara Leeper of Macomb, James Wear and Karen Joan (Paul) Caples of Wentzville, Missouri; twelve grandchildren; twenty three great grandchildren; three great great grandchildren; a brother, Jack “John” Hendricksmeyer; and two sisters, Shirley Hendricksmeyer and Helen Stein. She was preceded in death by her parents; husband of 71 years, Rolland; and two brothers, Bill and Tom Hendricksmeyer. Funeral services will be held at 11:00 A.M. Friday morning, September 14, 2018 at Printy Funeral Home in Carthage with burial to follow in Moss Ridge Cemetery in Carthage. Visitation will be held from 9:00 – 11:00 A.M. at the funeral home prior to services. Memorials may be directed to Lee County Hospice. Printy Funeral Home of Carthage is in charge of arrangements.